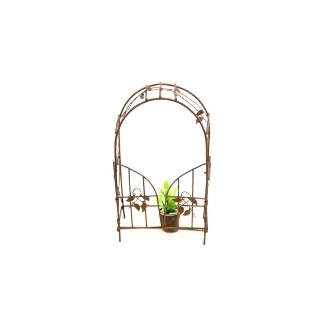 Rusty Garden Arch With Swinging Door for Miniature Fairy Gardens. 4"X2.6"X6.5. Shown Pot Accessory not included.